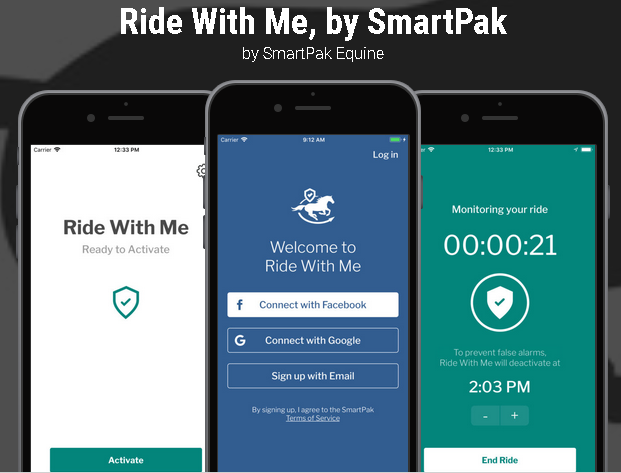 Ride With Me is a horseback riding safety app that gives you peace of mind when riding. Many horseback riding accidents happen when no one is around. If you fall and can’t call for help yourself, Ride With Me is designed to alert your emergency contacts. When you start your ride with Ride With Me, the app monitors your movement to know that you’re in control, using the natural rhythms of you and the horse. If Ride With Me detects no movement over a period of time, a warning will sound. If you’re okay, one button silences the alarm.